Rinna asked me to wrap the cupcakes individually for Tizia’s friends in school, its their last day and every parents send the kids to school with something small. It was 24 vanilla & chocolate cupcakes, I add cute chocolate topper and its good to go. 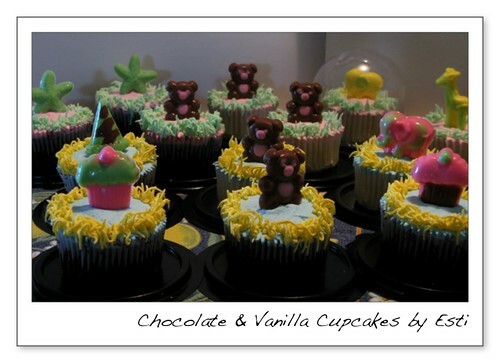 This entry was posted in buttercream, chocolate topper, Cupcakes and tagged Gift Ideas. Bookmark the permalink.